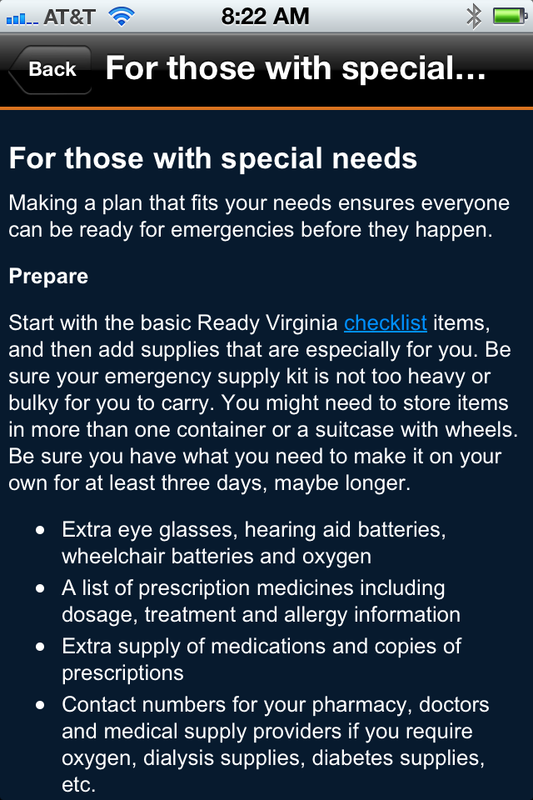 Getting the public to pay attention to emergency preparedness information can be a challenge. Research in this area tells us that “community-based participatory approaches to designing and disseminating risk communication for at-risk populations, and offering messages in multiple modes that are locally and personally relevant, would have many benefits for strengthen emergency preparedness, response, and recovery for at-risk populations, but are currently underutilized.” Meredith, et al (2008). Although social media has helped provide a participatory multi-modal approach, there are still many improvements that could be made. San Francisco, with leadership from Alicia Johnson (@UrbanAreaAlicia) the city’s Resilience and Recovery Manager, is making huge leaps in providing personally relevant preparedness information with the revamp of their 72 Hours preparedness site SF72 or San Francisco 72 Hours. I should note that Alicia emphasized that the site is a team effort and includes the design and innovation consulting firm Ideo, @ideo; Rob Dudgeon, the Director of SF Emergency Services or @sfDEMrob; and Kristin Hogan or @kristinlhogan. I spoke with an Alicia about the goals and direction this site will be taking. She stated that SF72 concept came from the realization that our current preparepdness messaging is not working. 1. Too much information in a non-visual format. We live in an era of video and image communication, yet we continue to provide the public information in a heavy-text format. Public safety organizations are not alone in committing this error. For instance, my high school junior literally tosses college information mailers in the trash if they only include a letter and few, if any, pictures. Mailers that do have a lot of images, however, get placed on her bulletin board. In terms of public safety, I commend the new wave of preparedness apps coming out of emergency management offices, however, quite a few of them look like the screen shot above. And although all of the information is complete, I have to wonder why the content wasn’t made more accessible, with icons or pictures for instance, especially since this particular page is tailored for people with special needs. 2. Not enough interactive content. Providing a laundry list of protective action measures is not necessarily the best method to communicate this information. More than likely it is not even read (see #1). Even though a list may provide all of the correct content, active learning is way more fun, meaning it holds people’s attention. This increases the chance that the material is retained. The SF72 site embraces this active model, which is evident in the “Quake Quiz,” an interactive quiz that is not only very visual but interesting enough to hold the attention of kids and adults alike. Other apps, such as the game associated with the Disaster Preppers TV show, also provides an example of how preparedness content doesn’t have to be dry, but can actually be entertaining as well. Providing the opportunity for sharing is one thing that the SF72 site also does well. People are asked, for instance, to share that they took the quake quiz and even have access to a bit of code in order to place a banner on any website or blog (which is how I included the image above). They also intend to include videos of people talking about their experiences during large and small disaster (e.g. a house fire) and how they were prepared, or what they would have done differently. This statement on the site demonstrates their desire to embrace the concept of community. SF72 is San Francisco’s gathering place for emergency preparedness. We believe in connection, not catastrophe. We believe in the power of many pairs of hands. We believe in supporting the city we love. I’m looking forward to seeing the entire site completed. Alicia also told me that once it is finished, it will be available to other communities to adopt as well, since they are doing the project in an open source format. The quake quiz, however, is a licensed product. If you are interested in more information you can reach Alicia via Twitter or provide a comment below. Is your organization doing anything similar? Let me know. This experience, more than any other in our history, has convinced me of the need for this type of platform. We need coordination between government, nonprofit and grassroots efforts. We need fewer forms, smarter tools, and cleaner data. We need simple, accessible information BEFORE a disaster, letting ordinary people know how to get involved in a safe, efficient manner. Here’s a check in from the team at Recovers.org. We had a whirlwind week after Hurricane Sandy, launching software for four neighborhoods in the city. This is an update from the software on the front line. 1.) We bridged the interest/aid gap: In the first week, we were able to database over 23,000 skilled volunteers and item donors. These resources are now meeting needs. Reported needs are steadily increasing as more and more residents return home and assess the damage. While these volunteers could not all be used in the immediate aftermath, they are needed more than ever now.1.) We bridged the gap: In the first week, we were able to database over 23,000 skilled volunteers and item donors. Local organizations in impacted areas did not have the capacity to do this in the first week. Thanks to our site. We’ve taken the peak of interest in the disaster, and given it to them for long-term recovery. 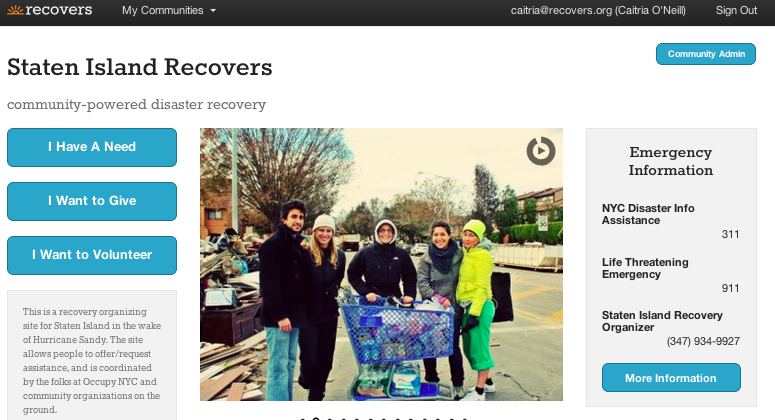 These organizers have already met over 100 needs reported through the site, with more coming in daily. Many more needs were met through posting public calls for volunteers on the front page of the site. 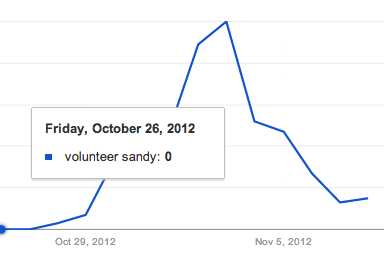 Compare the graphs for the Google search “Volunteer Hurricane Sandy” and a graph of our site traffic in the same time. Local churches and nonprofits operating in the deadzone could not translate this interest into aid in real time. We did – and effectively translated these web searches by motivated volunteers into a database record of skills and items that local churches and nonprofits can continue to leverage far into the future. 2.) The community owned their own recovery: While our tool kit contributed greatly to the initial capacity, this effort was completely owned and operated by local organizers on the ground. This wasn’t Recovers.org riding in on a white horse, this was application of a tool kit, by neighborhoods that needed it. In NYC, we launched sites for the Lower East Side, Red Hook, Astoria and Staten Island in partnership with the burgeoning Occupy Sandy movement. Our understanding was that each of these sites belonged to the communities they were named for, would remain there long-term, but that the people providing aid quickly should have the means to do so. Occupy Sandy was able to jumpstart recovery across the city – moving masses of people and goods from where they showed up to where they were needed most. Now, we are seeing more and more community leaders and local organizations begin to take ownership of these tools. Pet shelters seeking pet-specific skills in volunteers. Local nonprofits looking for translators. Organizations with remote volunteers who want to help by matching needs and aid as administrators. Know any? Have them email support@recovers.org. 3.) We’ve learned: I’m not sure we were ready for Hurricane Sandy – but we now know we can handle a landscape scale disaster in the largest city in the US. We’ve also learned exactly how hard this is. 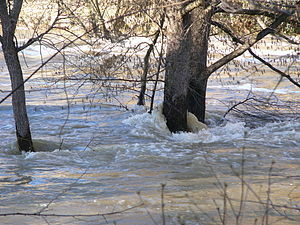 It is imperative that these systems be implemented BEFORE a disaster. Trying to reach and train administrators in a dead-zone, to teach them how to use an unfamiliar system during a disaster is unworkable. Here, it only worked through blood, sweat, tears, and dedicated volunteers. We were unable to provide additional sites for areas like Coney Island, the Rockaways, and Lindenhurst NY that also sustained damage. We also learned a great deal about the way our tools are seen and used in the absence of training. We’ve built a long list of changes to implement, and have been responding to feedback in real time to make the site easier to use. Keep it coming. The Australian Government 2.0 Task Force was formed back in 2009 in order to determine how best to leverage public sector information and online engagement. They went through a process similar to what the Obama administration went through upon taking office in 2008. Citizens are willing to trade-off reliability and accuracy for timeliness in certain circumstances, (emphasis added) and will resort to other information sources such as social media if the official authorities cannot provide timely information. Creating open access to emergency data, to ensure others can mashup and contribute to useful services. 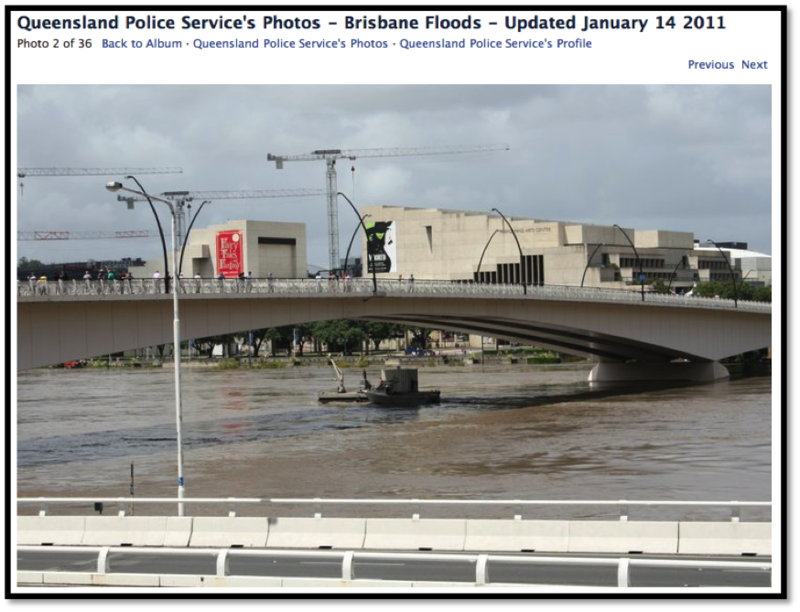 one of the drivers for the wiki was the Social Media for Emergency Manage­ment project that emerged from the Government 2.0 Taskforce. 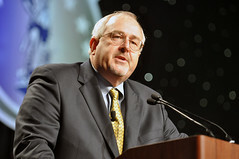 Mr. Collins concludes his blog summary of the event lamenting that the government isn’t further along with its ability to embrace or leverage fairly mature technologies. Honestly, however, I think they might be much further along than we are. Read his entire post, it’s quite interesting. I recently had the opportunity to speak on the impact of social media and web 2.0 on National Incident Management Systems (NIMS) and more importantly the command and management component of NIMS. After speaking I thought it could benefit a larger audience by writing a little on my thoughts and interpretation of its impact. As a quick background, I have been ensuring NIMS compliance for over 3 years in the agencies I have worked for and also have been teaching and implementing NIMS for just as long. I also want to discern the separation of NIMS and Incident Command Systems (ICS), as they are in fact, not the same thing. I also realize that the NIMS is by no means perfect and could use some updates. Prior to my civilian job I was in the Army National Guard for 10 years and quickly embraced ICS due to the similarities with the military command and control guidelines that help any soldier be placed into any situation and have some base level of operating in new circumstances. To me, the NIMS training and implementation guidance helps form a pseudo public safety basic training. In essence it facilitates governments and responders ranging from fire to finance be placed into any disaster and have some sort of basic framework and jargon to work together in. I wish to show how NIMS is not the problem; neither is ICS, Joint Information Systems, or Multi Agency Coordination Systems. In addition to understanding the definitions of new technologies, we must also remember historical precedents that gave way to huge dissent in their first stages of adoption. When live television feeds came out, responders had to begin adapting the way they created perimeters. When electronic mail was put into offices, offices policies and user roles need to be defined. This is important to note, no agencies needed to re-create their overall strategies or business models. They did have to change internal use policies and procedures on the issues these technologies had for their specific areas. Social Media and other web 2.0 applications are simply tools in themselves; by no means are they a new, one size fit all model of communication. They merely augment the systems and tools agencies currently have in place. In today’s modern response, could you imagine any response to an incident or major event that didn’t utilize live camera feeds from a command post or even the media? How effective would today’s government function without electronic mail even without a disaster or major event? Yes, I do realize with all the great benefits of technology there are also drawbacks. However, no side of the technology argument is 100% correct. When addressing implementation of any technology we must understand the downside of our side and the upside of the opposite. By leveraging all viewpoints maturely we can then allow a resolution of social media and web 2.0 tensions, albeit not the solution to either sides problems. So does this fit into NIMS? First, understand that for any agency or government that utilizes federal homeland security funds, NIMS became their framework on February 28, 2003 when Homeland Security Presidential Directive -5 was signed by President George W. Bush. The NIMS, while not at all perfect, encourages agencies to embrace and implement new technologies. The NIMS document clearly states in the Ongoing Management and Maintenance Component under Supporting Technologies, “Ongoing development of science and technology is integral to the continual improvement and refinement of NIMS. NIMS leverages science and technology to improve capabilities and lower costs”. 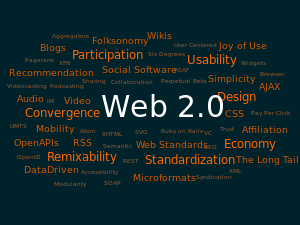 Social Media and Web 2.0 application are these very types of technologies. Clearly demonstrating the argument that, by not using social media or web 2.0, an agency or jurisdiction could not be correctly implementing the NIMS and not in compliance! In an agencies implementation of social media, many say ICS, JIS, and MACS guidance needs to be re-written to explicitly state social media’s usage on an incident. My first argument harkens back to my earlier remarks on email and live tv feeds. These tools are not explicitly stated in the guidance, so what makes social media and web 2.0 applications special? Often the true problem is the incident commander or Public information officer limiting the use of new technologies due to slow press release policies or lack of trust, or education on them. This demonstrates not the inefficiencies of the ICS, JIS, or MACS guidance more the specific agency or people that influence the tactical policies to support the guidance. Re-writing a federal document does not make the people that fall under it framework any more educated or accepting of its use. Time, instruction and changes of specific agency procedures make social media work in incident command. Furthermore, social media and web 2.0 is not specific to just the “push” of information out to the public, it is also imperative agencies listen or facilitate the “pull” information effectively. The PIO does this to ensure message clarity and rumor control. In addition, the IC needs to understand the pull to ensure the safety of his incident. Incident commanders have the ability to employ multiple ICS tools to facilitate this. Remember, social media allows public safety agencies to see and gather information and intelligence (info/intell) like never before. But we have also seen numerous incidents where by-standers take pictures of police snipers, mobile command posts, and other public safety resources. ICS has flexible guidance that allows information and intelligence pulled in via multiple positions. The incident command can either pull information and intelligence themselves, designate a person as Info/Intell command staff officer, create a Info/Intell General Staff Branch, create a position within the Planning Section, or for more tactical decision information put a unit directly under the incident’s operations section. The truth is, there is room in ICS, JIS, and MACS for a specific unit, person, or function to utilize social media and other web 2.0 tools. Even still, there are enormous benefits for all personnel in any of the aforementioned positions to have some sort of basic understanding of the tools they have at their disposal even when not tasked with solely using them. As time goes on and there are more case use examples availiable, public safety agencies will soon begin to amend their strategies and tactics to include new tools such as social media and other web 2.0 applications. This is the beauty of the NIMS document; it gives us only broad guidance to ensure that agencies do not stay still and strive to define how they can answer the the broad goals of integrating not only new disciplines and personnel into all hazards efforts, but also new internal and external processes, tools, and technology as well. Post Script: This post is also listed on the First Responders Communities of Practice page, where a few people have already commented. Request a registration and join in the debate.